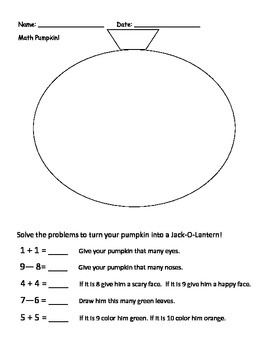 We used this activity as an independent math center and the kids really loved it. There are two versions--single digit addition and simple multiplication--that we used for our kids on different levels. 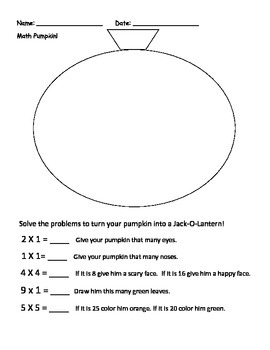 They solve the problems and use the answers to turn their pumpkin into a jack-o-lantern!